There are several ways for homeowners to secure the doors of their house. One of those ways is with a keyless entry, heavy-duty Schlage lock. It's important to understand how to program or reset those keypads. Luckily, it's easy to do so with just a few simple steps. Each Schlage keypad comes preprogrammed with a programming code and two users codes. You can find these preprogrammed codes in the manual or booklet that came with your lock. For maximum safety – and to make it easier for you to remember the codes – one of the first steps you might take is to reset those factory-programmed codes. The programming code is not used to unlock the door. It is used to put the lock in vacation mode or to add or delete user codes. 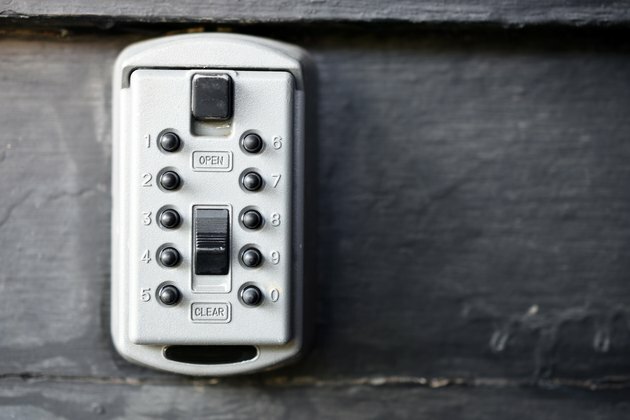 To create a custom programming code, enter the six-digit preprogrammed code and press the "Schlage" button. Then, press "3" and enter the new six-digit code of your choosing twice. If the keypad successfully reset the code, the "Schlage" button will flash green. On some models, it will also beep. For some models, you must wait in between the steps for three blinks of light from the "Schlage" button and three beeps before proceeding to the next step. The user codes are the ones that lock or unlock the door. A Schlage lock can hold up to 19 user codes, and can be helpful for doors for offices or big families where several people want to remember their own four-digit code in order to unlock the door. It's easy to add, delete or reset all 19 user codes. In order to add a new user code, first enter the programming code. Then, press the "Schlage" button and the number "1." Next, enter the four-digit code of your choice twice. You should then see the "Schlage" button light up in green and on some models, hear a beep. To delete a user code, enter the programming code. Then, hit the "Schlage" button and the number "2." Next, enter the unwanted four-digit code twice and wait for the green success light from the "Schlage" button. As with the programming code, there are some Schlage keypad models where you must wait to see three quick flashes and three short beeps before moving on to the following step. If you ever receive a long beep and a flash of red from the "Shlage" button, you have made an error along the way and must start the process over. If you are headed out of town or want to disable all user codes for any reason, you can set your lock to vacation mode. In order to enable vacation mode, enter the six-digit programming code. Then, hit the "Schlage" button and the number "4." Wait for the green success light of the Schlage button. To disable vacation mode, simply enter your six-digit programming code. If you have a new version of a Schlage lock, many of the programming and resetting can be done via the lock's web portal found at mynexia.com. There, you can create a user profile where you can access all of the lock's settings and codes. You can assign names to all 19 of the different user codes, and use the portal to reset or add code rather than manually programming it into the lock.